There are many things in this life that I’m prepared to do without. When my husband and I got married six years ago in a little wedding chapel, I was 23 years old. In strict violation of our culture’s script for middle-class adulthood, we did not enter this covenant after establishing our careers and purchasing a home. Instead we moved into the cheapest dog-friendly basement apartment we could find in a Toronto neighbourhood that we loved, and we stayed there for four years despite the centipedes and bi-yearly kitchen floods. Likewise, when we decided to pursue our PhD degrees, we knew it was unlikely that a lucrative outcome would be waiting for us when we marched out of our dissertation defenses as victorious new “Doctors.” Rather than advancing in pragmatic careers, we have been doing unpaid research and writing while living off meager teaching stipends. Instead of purchasing a home and planting roots, we have moved from one thrifty apartment to the next while maintaining a minimalist lifestyle. And you know what? I wouldn’t change a minute of it. I’ve learned so much about myself, chiefly what I need and what I don’t need to be happy. I know that I don’t need a large home, luxurious vacations, or a prestigious job to feel complete. I also don’t need the approval of anyone who values me for what I do or what I have, as opposed to who I am. But I do need thought-provoking books to read, a forum to foster my love for writing, and quiet moments to be still and nourish my spirit. I need sunny walks in the park with my husband while we discuss the vicissitudes of life. I need laughter-filled visits with my closest friends and road trips to see my family. And up until October 2015, I thought that was all I needed. But Leah changed all that. Before my pregnancy, I had a vague idea that I would probably be a mother someday, but having children seemed like a far off abstraction that I really didn’t give much thought to. Yet as soon as I discovered I was pregnant, I felt a visceral need for this new little person, even though I had not met her yet. Suddenly my ability to lead a full, happy life hinged on this tiny girl making it into the world. So where does that leave me now that she’s gone? I thoroughly believe that human nature is defined by our innate need to forge meaningful connections with each other. At the end of the day, all that matters in this life are the connections we make. 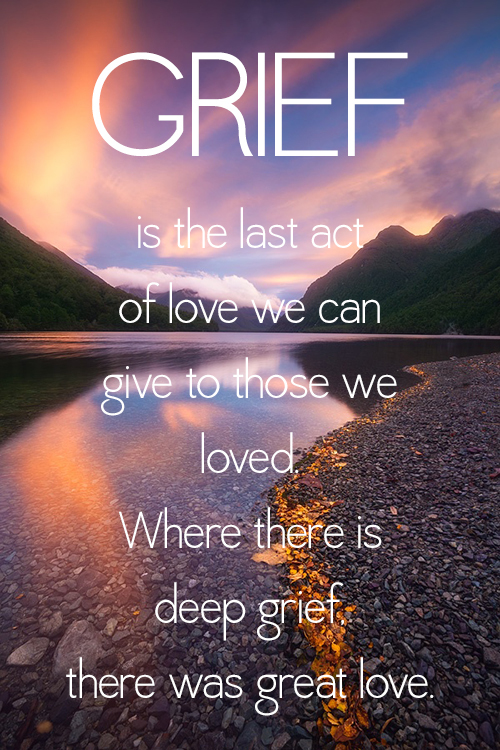 Similarly, it is often said that grief is the price we pay for love. Life is not worth living without love, yet the finite nature of life on this earth means that we cannot know love without also knowing pain. Even the strongest connections that last until death will be severed one day, after which our love lives on with no earthly outlet. These are the things I consider as I trudge ahead and attempt to forge my new normal. I know that the pain and emptiness I now feel are the price I have to pay for loving and losing my daughter. I also know that if I could somehow go back in time, knowing how soon my earthly connection to Leah would be severed, I would not “undo” my pregnancy. While Leah’s absence now leaves a gaping hole in my life, it is still richer because I am her mother. It seems my new normal must inevitably be a life that will always feel less full and less bright. It is worth it, however, for having known Leah during the brief moment in time that she was here.